This Live and Let Die Australian one sheet could be the rarest of all James Bond posters. 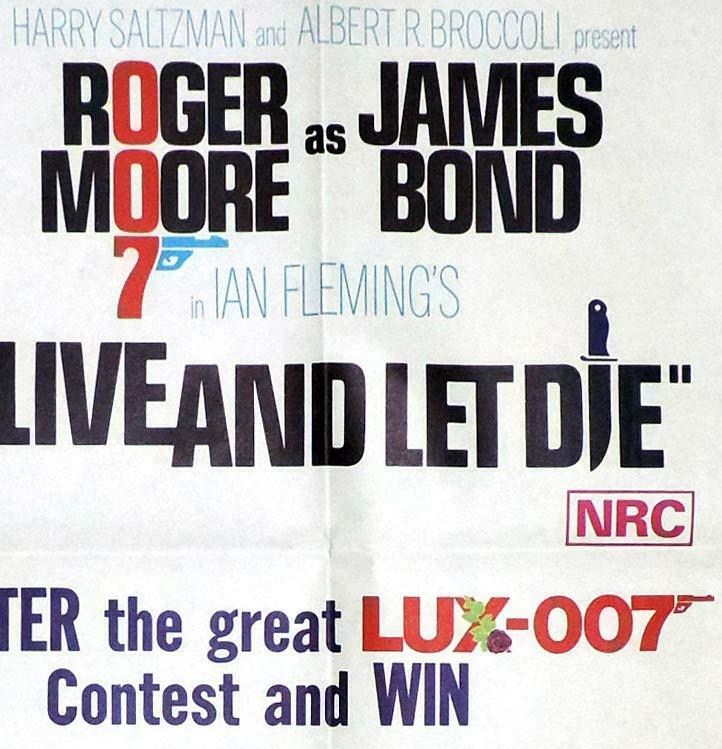 It was used for the original release of the film in selected city cinemas in Victoria to promote the LUX soap contest in association with Woman's Day magazine. Only a very small number of these posters were printed and this is the only one that I know of that has survived. It also has the distinction of being a unique horizontal format Australian one sheet.